To date, Fenix has sold over 220,000 ReadyPay Power systems in Uganda and Zambia, bringing clean, reliable power for lights, phones, radios, TV and much more to over 1,100,000 people in these two countries. In 2017, Fenix announced that it was joining forces with ENGIE, one of the world’s largest energy companies and a leader in the move to renewable, decentralised and digital energy. ENGIE will make significant commercial investments in Fenix to accelerate the path to our mission. Fenix will operate as a distinct and autonomous company within the ENGIE group in order to retain our unrelenting focus on innovation, smart iterative design, strong team culture and exceptional customer experience. Together, Fenix and ENGIE plan to bring life-changing energy and financial services to tens of millions of off-grid customers and to make universal access to modern energy a reality across Africa. As part of Fenix engagement to bring life-changing to its customers Fenix is expanding its product base to include a new range of clean-cooking products and services. As marketing manager, you will report to the head of clean cooking and be in charge of introducing and managing new products, from market introduction to commercial expansion all over Africa. 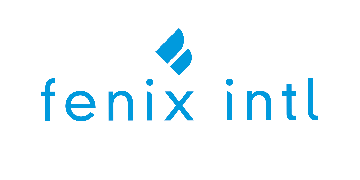 You will also be in charge of producing and gathering data to help identify the best and most promising countries in Sub-Saharan Africa for Fenix’s range of clean cooking products and services. Entrepreneurial experience and mindset; demonstrated entrepreneurial or intrapreneurial experience inside a larger company. 1) Why do you want to work with Fenix? 2) According to you, what is the best clean cooking product for the East African market? Be specific and explain why. 3) Who do you think is the ideal customer to pilot a new clean cooking product with? 4) What sort of data do you think is useful to collect during the pilot phase of a new clean cooking product?